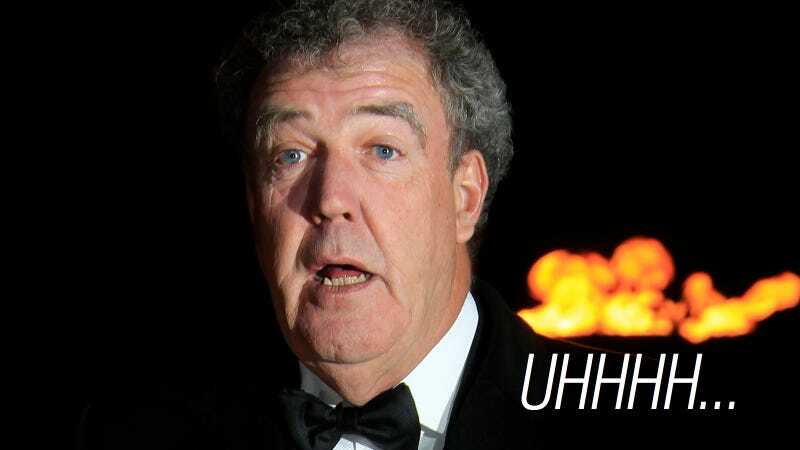 Well, it looks like ol' Jeremy Clarkson just pulled a fast one on all of us. Remember when he said on Twitter that the 21st season of Top Gear starts Jan. 23? The BBC says it doesn't and they have no clue what he's talking about. A BBC spokeswoman told us that Jan. 23 is neither the studio recording date nor the debut of the new season of Top Gear. As for why Clarkson made that claim on Twitter, well... they don't know. As we pointed out in yesterday's story, the Jan. 23 date seemed odd because it's a Thursday and Top Gear typically airs on Sundays. All we know is a 21st season of the show is coming and it's coming next year. Just don't ask Jeremy Clarkson when he's supposed to show up for work. He seems a bit confused about that.